Item Description: The OFS 300 is a versatile instrument for the inspection of optical fiber connectors. The OFS 300 is a versatile instrument for the inspection of optical fi ber connectors. By employing universal adapter cap mount, it can inspect virtually any connector style for scratches, dirt, or other problems normally associated with poor transmission performance. The OFS 300 offers 60 hours of continuous battery life. A 2.5mm universal adapter cap, holster, and user's guide are included with OFS 300 scopes. Two models of the OFS 300 are available. 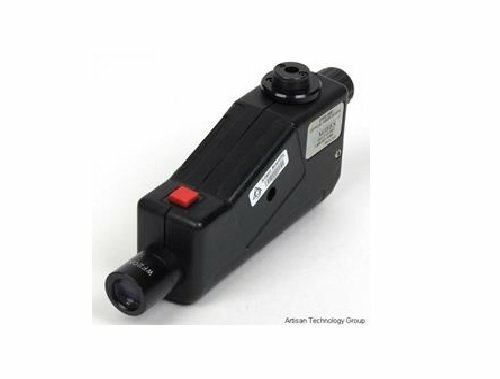 The OFS 300-200C offers precision 200X magnifi cation to easily inspect both multimode and single-mode fiber optic connectors. The OFS 300-400C with 400X magnification is available for more critical inspection during termination, especially with single-mode fi bers. Various adapter caps are available to facilitate viewing of the desired connector style. The OFS 300-200C uses the same common threaded connector adapter caps as the Noyes Optical Power Meters and Loss Test Sets. The OFS 300-400C utilizes special precentered snap-in adapter caps, which ensure proper fiber location in the viewing area. Shipping is $18.00 ($12.00 to Canada) via US Postal's Global Priority Mail/Air Mail and is advertised as taking 3-8 business days. Please be advised that there can be Customs delays from time to time. These packages come with Delivery Confirmation Numbers only - No Insurance or Tracking Numbers. Excellent value for the money and very reliable however! Yes we take credit card payments, but over the phone or via online invoices generated through PayPal or Google. eBay got rid of 3rd Party Shopping carts years ago that allowed you to use an online credit card terminal to process your order. eBay didn't like that. They lost out on fees. Now if you click "Pay by Credit Card" you will be abandoned by eBay. They will assume that we connected and processed your credit card over the phone or an online invoice sent to you from either Google or PayPal. Questions? Larger Orders? Please feel free to call, fax or e-mail! Other types of Portable Refractometers are available through our eBay Store!